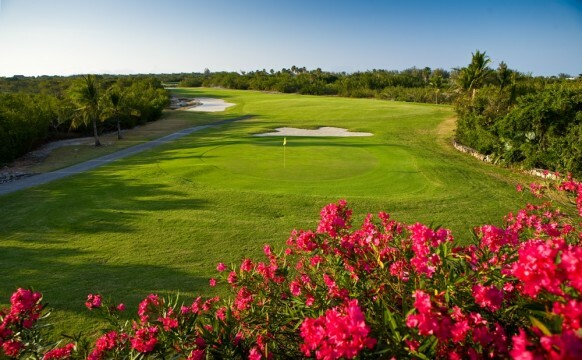 “Silence is golden.” There should be a sign on the first hole at Provo Golf Club in the Turks and Caicos Islands, alerting golfers to the sensation that tees off with every new group. When one is so used to the background noise that accompanies life back home, island quiet will become a golfer’s new best friend. Silence is more a feeling than it is a sound at this 6,700-yard golf masterpiece of swaying palm trees and lush Bermuda grass. The sounds of Provo grow on first-time golfers like the reggae tune that unconsciously makes your body move. Newcomers to this course Golf Magazine called “one of the 10 best in the Caribbean.” will reflect: Island golf sounds good to me. Provo Golf and Country Club burst on to the island golf scene in 1992. 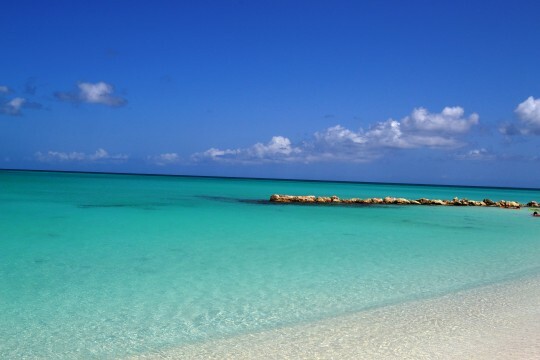 That’s just a few years after Providenciales, the most inhabited of the Turks and Caicos Islands, christened its first hotel on stunning Grace Bay Beach. Today, Providenciales hosts two-dozen spectacular oceanfront hotels, villas, and resorts, along Grace Bay’s 12-miles stretch of powdery white sand and turquoise water. 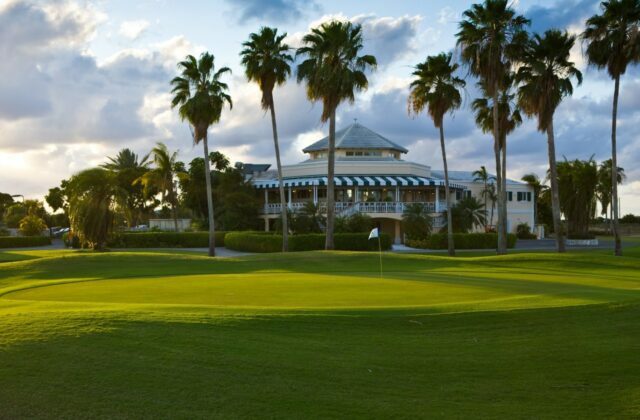 Provo’s first tee is just a three-wood drive from the epicenter of the Grace Bay hotel zone. The convenient synergy of posh beachfront digs and world-class golf gives new meaning to the term surf and turf. Resting on one’s laurels has never been the Provo Golf Club way. Golfers seeking something unique in a Caribbean getaway will marvel at the recently implemented design changes found at the new and improved Provo. In addition to planting 900 new palm trees, Provo’s landscape team also added exotic bushes and flora throughout the course. Provo’s seventh and 17th holes feature dramatic new looks. 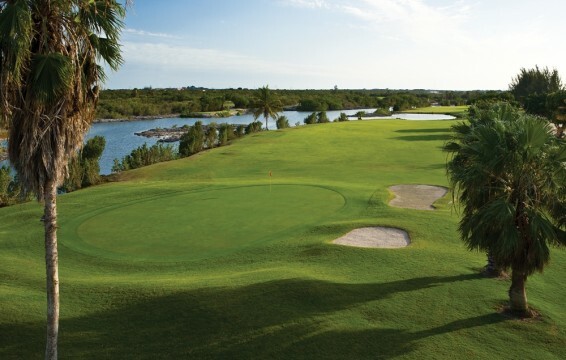 First time and returning golfers will especially love the photographic moment provided by the 17th hole island green. As beautiful as Provo is visually, the sense that most golfers take from a round is the serene sound of silence. Provo’s ambiance is one of trade winds whispering quiet and calm. This feeling massages one’s shoulders like an environmental muscle relaxer. If one could bottle the elixir that is Provo, drug companies would pay a fortune for the patent. At Provo, one of the few sounds that can be heard is the verbal exchange of island bird life. Many of Provo’s resident birds are not ones you’ll find visiting your feeder back home. That is unless one happens to have a pink flamingo as a lawn ornament. Provo’s redesign is not limited to the golf course. Upgrades to the clubhouse, pro shop, and driving range all help to make Provo an extraordinary Caribbean golf experience. 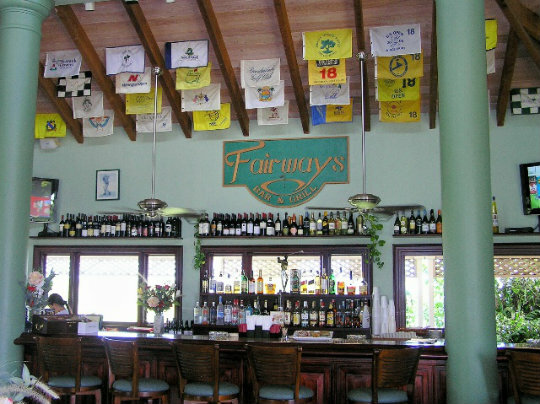 Guests from around the world will also enjoy the panoramic view of golf flags adorning the interior walls and ceiling of the clubhouse bar area. The chances of seeing a flag from the oldest course in Scotland, to a flag autographed by Arnold Palmer is sure to create a buzz. Another way to heighten this feeling is to quench your thirst with a locally brewed Turks Head beer or Bambarra reserve rum. The final fond memory one takes from Provo is that golf is a great way to rub elbows with like-minded friends from around the globe. Provo’s member list reads like roll call at the United Nations. Golfers from Canada, America, Europe, Thailand, New Zealand, and all points in between, call Provo their home turf. Recent guests who have teed it up at Provo include Derek Jeter, Richard Gere, and Tom Brokaw. During a recent Turks and Caicos vacation, Microsoft’s BillGates was so enamored with Provo’s hospitality that he showed up on its practice green and tennis court four days running. Tim Cotroneo is a freelance writer from Lino Lakes, MN, with a passion for golf and a future Caribbean zip code.